Choosing a piece of art for a friend can be a challenge. If you would like your friend to be the one doing the selection, you could purchase a gift card from NOAR. 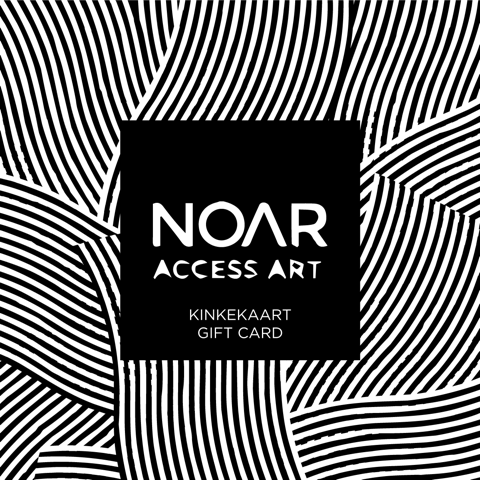 Contemporary art platform NOAR.eu gathers thousands of incredible pieces of art from Baltic and Nordic countries. Every art lover could find an amiable art work from the selection including masterpieces by established artists as well as intriguing works of emerging talents. Finding the right art work takes time therefore the gift card is valid one year. If the receiver would like to make a selection together with our curator, just let us know! You can purchase the gift card in a printed form. It is designed professionally on a black cartong and embellished with white brush strokes. On the other side you are welcome to add your kind wishes.